After a run of gains the Toronto Stock Exchange has been lower today as energy stocks were punished once again by a drop in oil prices. The rally in crude yesterday while the markets weighed the potential impact of reduced supply from Libya over political unrest was short-lived. Investment expert Mohamed A. El-Erian has said that this is not just another pricing cycle but is the start of a long term change. Canada’s producers of heavy crude are also entering a price war with Mexico and Venezuela over supply to US Gulf Coast refineries. 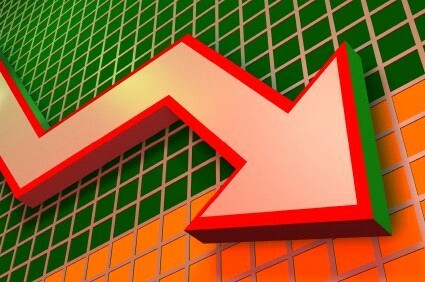 Financial stocks were also down today with Bank of Montreal and Bank of Nova Scotia among the losers. Nine of the ten sub indexes declined.